John Castle is a pioneer in private equity investing, a philanthropist in health and education and an adventurer. Mr. Castle’s business career is long and distinguished. He is Chairman and Chief Executive Officer of Castle Harlan, Inc., a private merchant bank with more than 42,000 employees. John Castle is also Chairman and Chief Executive Officer of Branford Castle, Inc, Inc., a firm that makes long-term investments in small to medium-sized private companies. Further, Mr. Castle is an Advisory Director of the DuPont Corporation Investment Management Co. 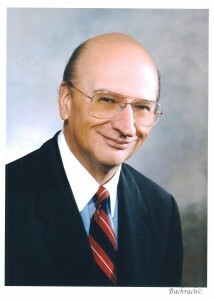 Prior to forming Castle Harlan in 1986, John Castle was President and Chief Executive Officer of Donaldson, Lufkin and Jenrette, Inc., at the time one of Wall Street’s largest investment banks. While at Donaldson, Lufkin and Jenrette, Inc. John earned a reputation for being tough and tenacious. He also served as a director of the Equitable Life Assurance Society of the US and as a Life Member of the Society of Manufacturing Engineers. John Castle is also the Chairman and Co-Publisher of Castle Connolly Medical Limited and affiliated companies, which publish America’s Top Doctors; Top Doctors: New York Metro Area and other books to help people find the best healthcare. Sister companies of CCML are Castle Connolly Graduate Medical Ltd and Publishing Works Ltd. CCGM publishes more than a dozen guides to assist resident physicians in preparing for their medical specialty boards while Publishing Works produces healthcare newsletters and journals for hospitals and physicians groups. Starting in 1969, as Chairman of DLJ’s Merchant Banking and Sprout Group, John Castle was one of the founders of the institutionalization of the private equity business utilizing limited partnerships as a vehicle for pension funds and other large capital sources to invest private capital needed by companies to build their businesses. As a philanthropist, John Castle has committed a substantial portion of his time and resources to public service in education, healthcare and religious organizations over the past 35 years, and a number of philanthropies. He is also an adventurer who has traveled the world. Mr. Castle’s primary residence is in Palm Beach, Florida. Mr. Castle received his bachelor’s degree from the Massachusetts Institute of Technology, his MBA as a Baker Scholar with High Distinction from Harvard, and he was awarded four Honorary Doctorate degrees.